South Korea is in the past decade garnering great interest from business, entertainment enthusiast, as well as travelers. Korean companies attract the latest technologies. The Korean drama and K-pop singers capture young (and not-so-young) people’s heart in other countries. Moreover, the historical sites and attractions all over the country magnetize travelers from across the globe. It would have been more interesting if one can travel to both countries that were divided during the Second World War with the Demilitarized Zone (DMZ, which keep each other at arm's length. The military deadlock is hopefully to be broken anytime soon or sometime later. You can only travel to South Korea by air or sea. The vast majority of travelers arrive at the modern Incheon International Airport, located on an island west of Seoul, Jeju Island on the Southern part, and other cities in the country. Korean Air and Asiana are the two big Korean airlines, operating direct flights from some destinations around the world. Seoul (or Incheon Airport = ICN) increasingly features as a stopover on round-the-world trips. Dozens of international airline carriers regularly fly in and out of the country. IMPORTANT: Please take note that Incheon International Airport has now two terminals: Terminal 1 & Terminal 2. Know in advance where you will arrive in case somebody will pick you up, and it is important to know where you will be departing. Airfares increase for travel in the summer months and at Christmas time. A departure tax applies when leaving Korea, but will almost certainly be included in your ticket price. Some Chinese ferry ports serve Incheon itself, and there are services from several destinations in Japan to Busan. Those arriving by ferry will be rewarded with a beautiful introduction to the country: the Korean coastlines around Incheon melts into countless islands, though the port area itself has been ravaged by industry, as have some nearby islands. You can find lots of online companies that provide the more comprehensive and cheaper flights to South Korea. You do not have to enter specific dates or destinations, but you can always find your best tickets for your Korean destination or anywhere around the world. Some airlines fly to South Korea anytime and all year round, including Korean Air, Asiana Airlines, Delta, and British Airways. Unfortunately, there are no direct flights from Ireland to South Korea. Korean Air and Asiana have direct connections from London Heathrow to Incheon- Korean Air has a daily service, while Asiana has five per week. The travel takes eleven hours, with fares costing around 600lbs; this can go up to 700 pounds during summer and at Christmas. It is always advantageous to book in advance to take advantage of cheaper flight rates. Many travelers save money by taking a transit flight ticket prices for flying with other countries such as Emirates via Dubai. The rate could drop to around 400 pounds, and you have to sacrifice some of your time. British Airways, Delta, Air Canada, Emirates, Turkish Airlines, Finnair, Air France, Etihad Airways, Ethiopian Airlines, KLM, United, Lufthansa, and Qatar Airways. The most prominent airlines among them flying to South Korea are British Airways, Emirates, and Air France. If you are traveling from the US you have some options available to you: there are direct flights to Incheon from New York, Dallas, Las Vegas, Los Angeles, San Francisco, Seattle, Chicago, Atlanta, and Washington. You can fly with Asiana Airlines, Air France, Jin Air, Korean Air, Lufthansa, and Air Busan. Sample low season rates are around 1000 to 1400USD from New York (flying approximately 14 hours), USD1000 from Chicago (fourteen hours) and USD900 from Los Angeles (thirteen hours). If you have some extra time, you can save up to a couple of hundred dollars when you take a transit flight, such as in San Francisco and Seattle as popular hubs. Expect that the fares can be almost double during the summer and Christmas holiday. Korean Air has direct flights to Incheon from two Canadian cities, Vancouver and Toronto, but you have to pay the high price especially during high season for a Canadian Dollar around 3000. As you already know, you can save around 800 dollars when you take a transit flight especially during low season from both cities. You can fly from Australia with direct connections to South Korea from Sydney (ten hours flight), and Brisbane (nine hours flight). From Sydney flight is about twice a day and from Brisbane is only five times a week. Some direct flights from Cairns during Korean winter and a connection to Melbourne may be available. Most Koreans are going to Australia take Qantas with its competitive rates starting at about 1500 Australian Dollar. Korean airlines can be almost double that price. Indeed, it is worth checking for flights that transit through a Southeast Asian hub, which could offer you a drop rate of around 1000 Australian Dollars. Also, the rates going to New Zealand vary, but you can get for a New Zealand Dollar1000 or more. You can take a direct flight from Auckland for twelve hours and some flights as well from Christchurch. If you want to get a below-average price, you should book at least four weeks before departure. High season is considered to be January, February, and March. You can get the cheapest ticket in June. It takes an average nonstop flight from Tokyo to Incheon 2 hours and 20 minutes for a distance of 718 miles. The airlines that offer the cheapest flights from Tokyo are Jeju Air, T’way Air, and Air Seoul (from 129 to 140 USD) as of this writing. The airlines that fly most frequently between Tokyo and Incheon (Seoul) are Asiana Airlines, Korean Air, ANA of this route. Most of them operate over ten times daily. There are 30 weekly flights from Beijing to Seoul and 22 non-stop flights. Asiana Airlines has the most non-stop flights on this route. 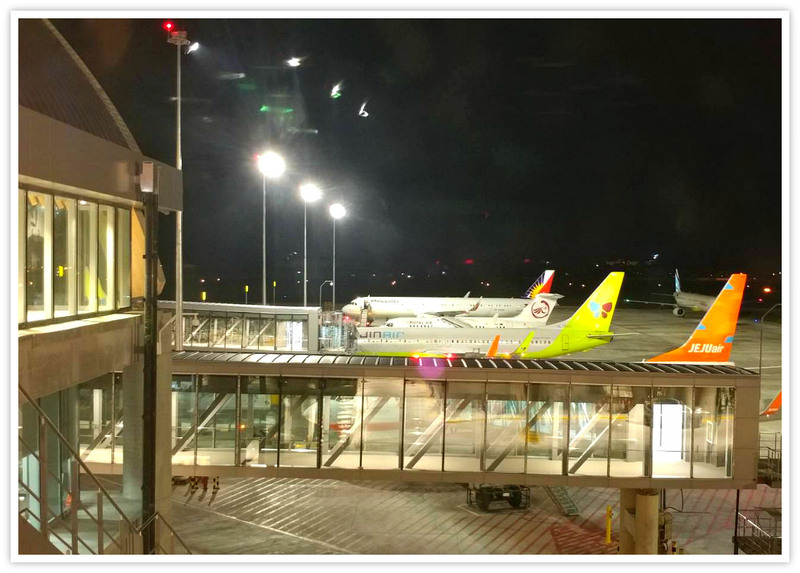 Shanghai-Hongqiao is the most popular connection between Beijing and Seoul flight. It takes only about 2 hours on average to fly a direct flight from Beijing to Seoul. The airlines that fly the route between Beijing and Seoul are Air China, Shenzhen Airlines, China Southern Airlines, China Eastern Airlines, Korean Air, Asiana Airlines, and more. Have a safe and enjoyable flight!